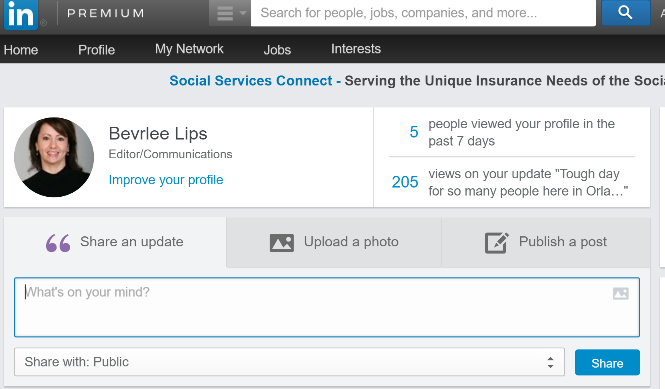 So you want to post updates to your LinkedIn account, but learning how to do that seems like it would take too much time. You’re in luck. Here is a short and sweet guide that will have you sharing important content in just minutes. Step 1: Log in to your LinkedIn account…that was easy. 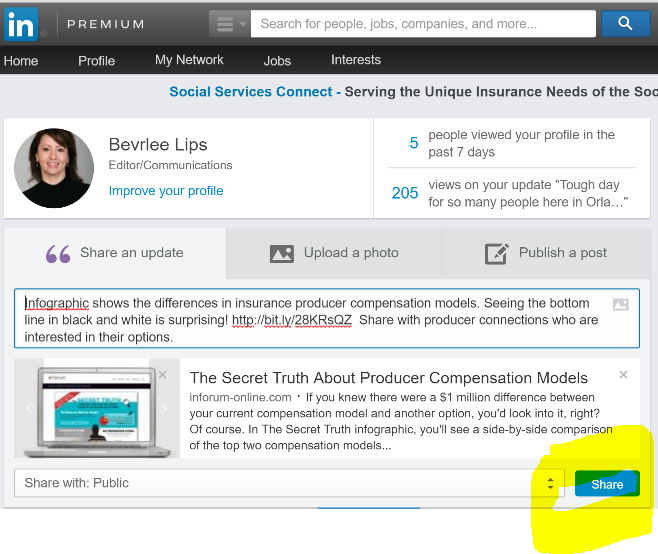 Step 2: From “Home,” locate “Share an update” just below your photo (or placeholder avatar). Step 3: Click on “Share an update.” A new box will appear below. This is where you will create or copy and paste your message. If you have pre-prepared text and a link, cut and paste it in this box. Step 4: The box below the image will say, ” Share with:” This is the audience that will see the update once you click on the blue “Share” button. 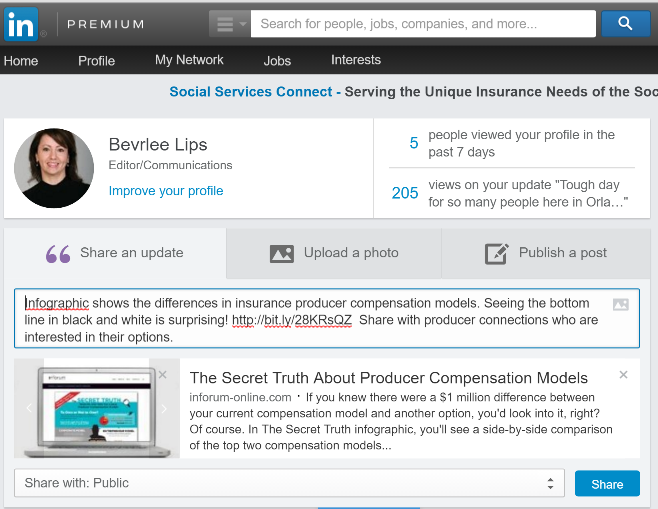 Public = Everyone on LinkedIn, including your extended network. Just Your Connections = Only your 1st degree connections. Public + Twitter = Everyone and your connected Twitter network (if you have connected LinkedIn and your Twitter accounts). Step 5: Once you click “Share,” all the people that you are connected to will see the post on their home feed.